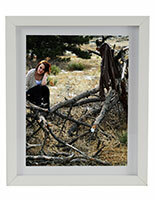 Two-way easel backing for displaying 5" x 7" pictures vertically or horizontally. 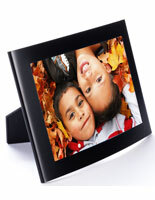 Includes wall-mounting clips for a wall-mount or countertop display. 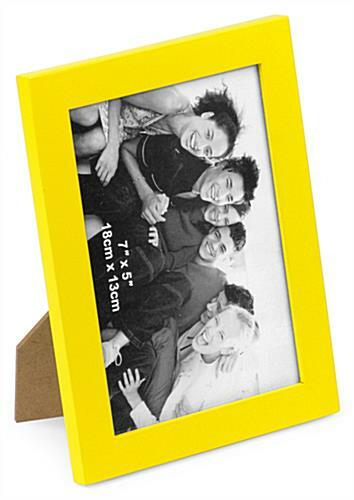 Made from solid pinewood with simple design for a timeless appearance. 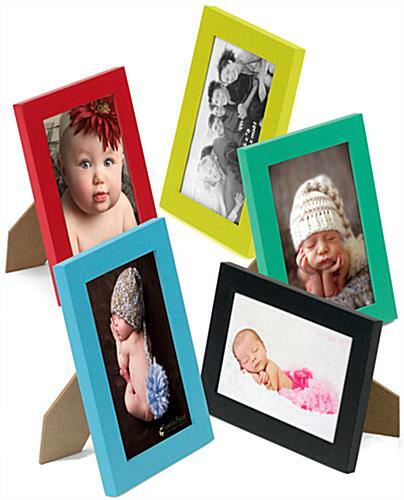 Each set consists of 5 radiant color frames: red, yellow, green, blue and black. These photo frames are an ideal way to treasure important memories! 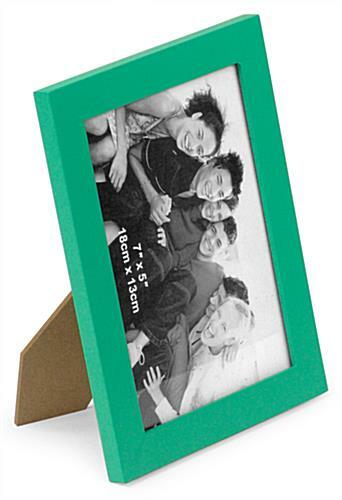 Each picture holder is crafted from pinewood and comes in 5 different finishes as one set. 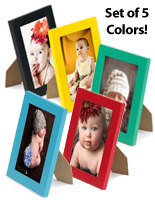 These colors are ideal for placement in a child's room or even a variety of other locations. 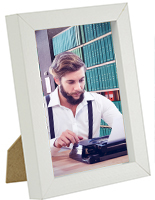 These photo frames, such as picture holders, are prefect for showcasing any themed pictures in the living room or workplace! The simple design of these displays will definitely make your favorite photos pop. 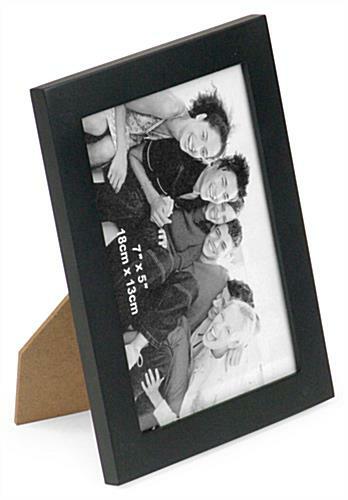 These picture holders, photo frames are made for vertical or horizontal display, as well as for both tabletop and wall-mounted use. 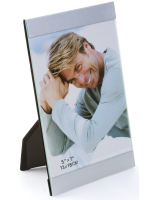 Customers can display pictures in style with these particular displays. 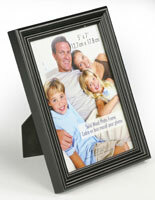 These photo frames are bright and attract, and will surely draw attention to your displayed pictures. 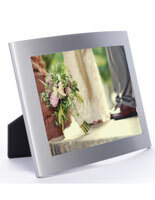 All of the picture holders come with a glass panel to protect your photos. 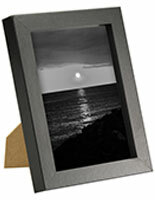 These displays are available in a 4" x 6" size as well. 6.1" x 8.1" x 0.5"